Here at the very first TLC Festival Malaysia @ Setia City Park, Setia Alam with fellow bloggers and friends last Sunday. It was a one day festival at the park and a chance to meet TLC personalities and hosts such as the lovely Janet Hsieh from Fun Taiwan; The Fabulous Baker Brothers Tom and Henry Herbert; and Jojo Struys from Jojo’s Diary of Asia and restaurateur and popular food blogger Erwan Heussaff - TLC’s latest personality and brand ambassador for Southeast Asia. I got to catch Tom and Henry Herbert of TLC series, The Fabulous Baker Brothers with the children from House of Joy in a mini-cook off session by Watsons Malaysia at the festival. After that during their stage segment with the help of some lucky fans, the much-loved duo made their own rendition of some Malaysian favourites such as Nasi Goreng with Smoked Mackerel and Chicken Satay Kebabs. Fans of the bubbly Janet Hsieh, host of TLC’s Fun Taiwan franchise, got to meet the Taiwanese beauty at the festival where she shared her travel adventures, relationship advice and her latest series Fun Taiwan All-Stars: Wedding Special and some of the most magical moments of her recent big day in Antarctica. 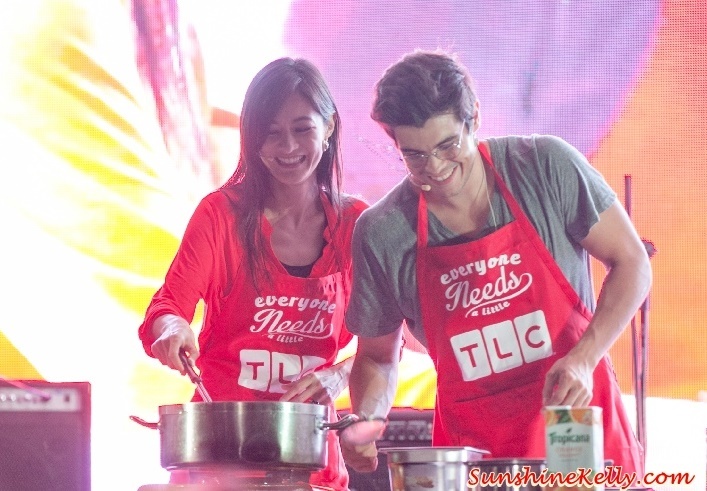 Erwan Heussaff, TLC Southeast Asia’s all-new brand ambassador, was also at the festival to show fans how he makes Soft Shell Crab Orange Passembur, a dish inspired by one of his favourite Malaysian eats. The vignettes feature Erwan whipping up flavour-packed yet guilt-free eats such as Crab Fat Pasta with Scallops, Peas and Spaghetti and Thai Style Marinated Lollipop Chicken with Peanut Sambal Sauce. The festival had something for everyone, with a wide variety of artisanal fare served at the numerous food trucks, live music and energetic dance performances by the Rejuvenate Dance Crew and many fun activities including lifestyle workshops such as Mexican cooking and coffee appreciation, a holiday grooming session by Watsons Celebrity Friend Datin Winnie Loo and Watsons Move Your Body Zumba, amongst others. First launched in Singapore in September 2015, the TLC Festival was held in Manila on November 21 before making an appearance in Malaysia on Sunday, November 22. TLC a global lifestyle and entertainment destination.